THE Federal election is creating more questions than answers for the Tasmanian business sector which has been left in limbo with funding promises and policies from both parties which may be now undeliverable. The election results are still on a knife’s edge as the TBR goes to print. But, what we do know is that the three Liberal MHR’S Andrew Nikolic (Bass), Brett Whitely (Braddon) and Eric Hutchinson (Lyons) have been replaced by Labor members, Ross Hart, Justine Keay and Brian Mitchell. Certainly, many commentators and insiders believe that the Coalition will retain government. The fluid situation appears to make it more difficult for Labor to grasp government in its own right. If the Coalition is returned, Tasmania will have no Government members in the House of Representatives. If Labor wins the arm wrestle, or cobbles together a majority, Tasmania will have four members, including Franklin incumbent Julie Collins, on the Government benches and Independent, Andrew Wilkie, on the cross bench at this stage. The challenges for Tasmanian business are the lack of representation in Government if the Coalition is returned, or strong representation with Labor which fiercely opposed the Coalition’s business incentives. Business organisations around the nation, including the Tasmanian Chamber of Commerce and Industry, advocated for stable government to ensure confidence levels remained high in Tasmania. TCCI Chief Executive Officer, Michael Bailey, said the chamber hadn’t expected the result but he would be working with the new members as soon as possible. “We are Apolitical and work with the Government of the day and meet regularly with other parties. I look forward to working with the new members to ensure that key election commitments are kept and Tasmanian business is supported,” Mr Bailey said. Many of the funding promises from both sides were unequivocal from both parties and therefore should be honoured. They include $150million support for the UTAS redevelopment at Inveresk and a relocation in Burnie; support of the Cradle Mountain project and the billion plus investment in the CSIRO Antarctic Division supported by the Coalition but certain to be picked up by Labor. The Cradle Mountain Master Plan could be tricky with the Coalition promising a $1m feasibility study while Labor promised $15m. If returned, don’t expect the Coalition to match the Labor promise. Labor promised $32m for the Hobart airport overpass while the Coalition, in conjunction with State Government, matched the project although at a cheaper price. This will be an interesting debate. Labor, through new member Ross Hart, promised $75m to improve Launceston’s stormwater and sewerage systems as a starter to TasWater’s $1.8 billion water and sewerage infrastructure upgrade. It’s another major infrastructure project for the State which needs a bi-partisan approach. Many of the “on the run” promises for communities, organisations and sporting groups may not be so secure because they were contingent on the individual member, or candidate being re-elected, or elected. However both parties will also be well aware that if they are to win, or retain government, the Tasmanian Lower House seats are critical. Ignore the Tasmanian seats at your risk. While there will be retribution internally in the National Liberal Party organisation, the approach to the Tasmanian electorates has to be a roots and branch review of why people turned away from the party. The Senate debacle hit both parties with the externally popular Labor Senator, Lisa Singh dropped to number six and Richard Colbeck, the State’s only Federal Minister dropped to fifth. The strong vote below the line campaign bruised both parties. Supporters of both parties have also reminded new members of their responsibility to work for the betterment of the electorate and all of those within the electorate. The failure of the Federal Government’s message to resonate, or be believed by many Tasmanians, will have alarm bells ringing within the State Government’s hierarchy. A scare campaign on education and hospitals in the 2018 election, is a no brainer. Probably the main message from the Federal vote is the need for strong leadership which many voters believed is lacking in the Coalition. 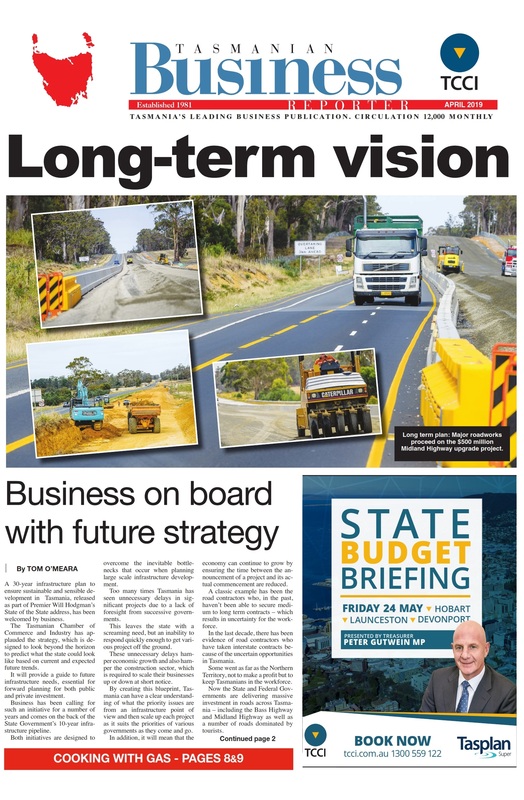 The State Government has two years to reassess its strategies and ensure it is connected to the community, then reassert leadership through all levels of the operation to ensure it’s resonating with the community.